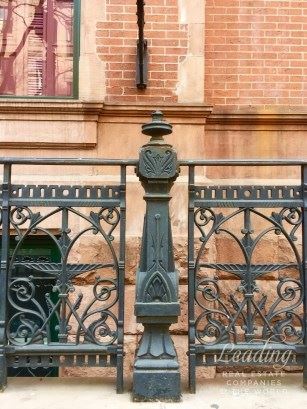 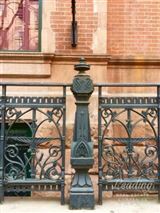 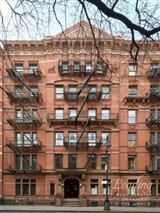 Situated on the Gold Coast of Greenwich Village, The Hampshire-with its striking red brick and brownstone exterior-is steeped in history and romantic period details. 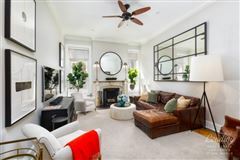 Apartment 1B is accessed off the beautifully restored marble lobby, which is dominated by an exquisite iron and glass elevator, bringing a hint of Paris to this Village icon. The entry hallway to the apartment leads to an open and airy dining room wrapped with banquette seating. The well-appointed kitchen will please any home cook and features a Viking range, Subzero fridge, wine cooler, roomy pantry closet and plenty of work space. 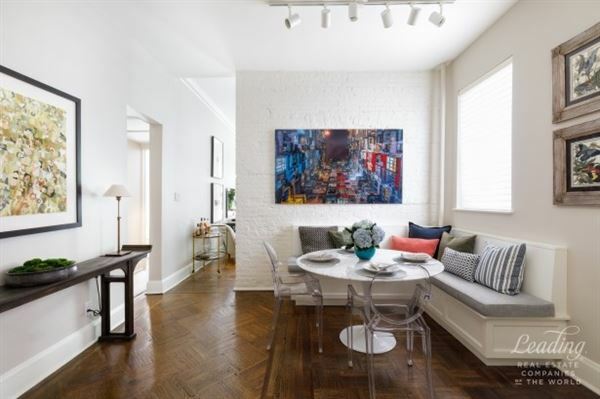 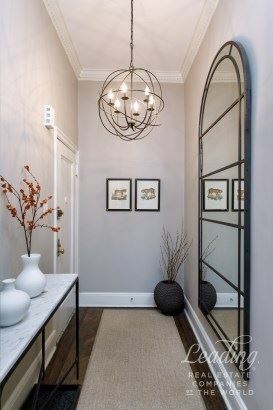 The ceilings throughout this home soar to over 11', creating the feeling of a grand parlor floor of a townhouse, which is amplified by the original parquet floors, period details and ample proportions of the spaces. The focal point of the spacious living room is a handsome wood burning fireplace with elegant marble mantle, flanked by two oversized south-facing windows with views onto the peaceful courtyard beyond. 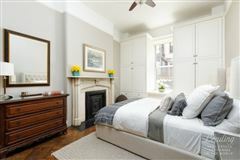 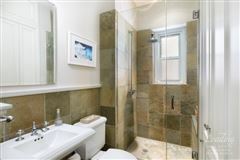 The bedroom also has a south facing window, another marble fireplace, custom cabinetry and ample closet space. 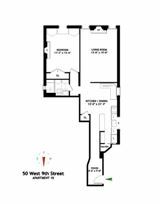 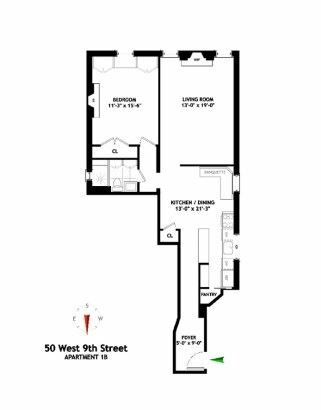 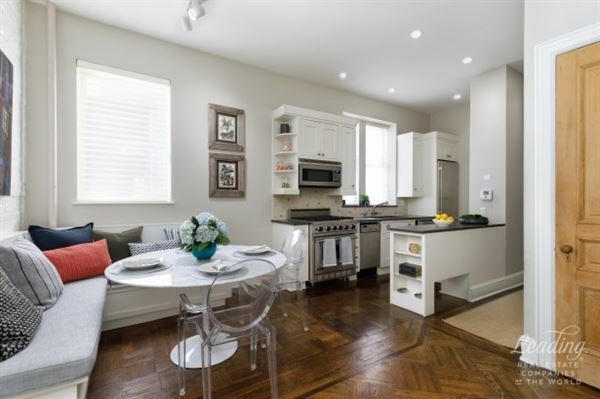 Considered one of the finest apartment buildings in the Village, 50 West 9th Street is a pet friendly coop that features a full-time doorman, building super, porters, laundry room and storage, all in the center of one of New York City's most exciting and picturesque neighborhoods.